You’ve got a date with your History! 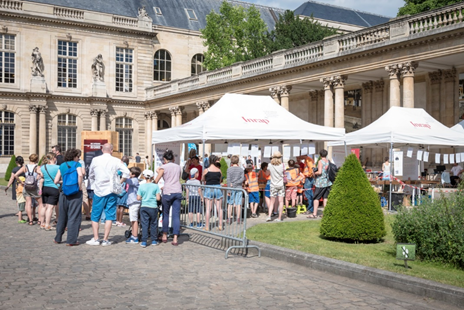 The next Archaeology Days will be held on 14, 15 and 16 June 2019! Participation in the Archeology Days is free. It is not necessary to offer free activities, they can be paying. Nevertheless, free admission can help attract new audiences. 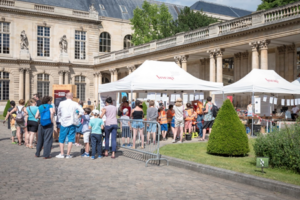 What kind(s) of activities would be best for the European Archaeology Days? The aim of the event is to reach as many people as possible. Above all, though, the idea is to attract audiences who would not usually visit places dedicated to archaeology. In this regard, opening these venues up to people free of charge and offering special activities there will help bring in new audiences and mobilise the media. Opening up a preventive archaeology site, a restoration workshop or archaeological reserves are excellent ways of putting archaeology professionals in direct contact with the general public. The latter appreciates the opportunity to meet professionals and see and understand how they work; such occasions are also a chance to show that archaeology is an operational chain that does not stop at the excavation site. “Archaeology Villages” bring together a group of partners involved in archaeology, from the “dig to the museum”. Under the aegis of a local authority, serving as event coordinator, it brings together services specific to the local level, the Department of Archaeology, the Directorate of Cultural or Heritage Affairs, museums, scientific and cultural partners, universities and research laboratories, associations, and any institution that is a stakeholder in archaeology, from the dig to the museum. The “Archaeology Villages” will be freely accessible, for activities, demonstrations, meetings and exhibitions, all on a single site, for example, a public square, a hall, a museum, etc. 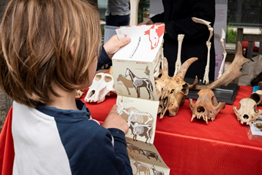 Experiments, demonstrations or basic hands-on activities can be combined with mini-exhibitions, conferences, shows, projections, historical reconstitutions, etc. 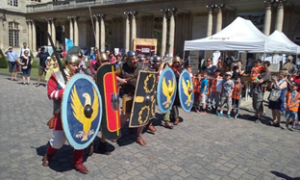 Strolls, presentation of Gallic and Roman military techniques from the 3 periods: The Gauls War, High-Empire, and Low-Empire. Why did humans shape flint? How was it used? What processes were involved? How was it produced? Who used it and during what period?, etc. Through experimental archaeology, people can gain a better understanding of age-old technologies by revisiting today the processes designed in the past. 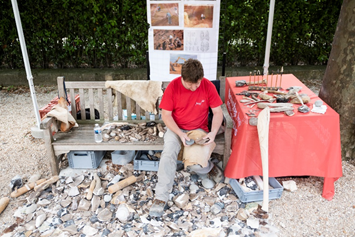 The workshop Archaeo-fouilles on Rue Farman in Paris was designed to introduce the oldest archaeological site in Paris, on rue Farman, (- 9,000 to – 5,000 BC) to young audiences in a fun way. 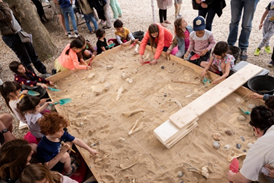 A dig simulator supervised by professionals offered children and their parents the chance to become familiar with the world of archaeology and learn about selected research methods and techniques. 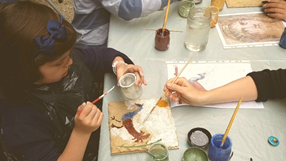 After observing architectural decorations and antique frescoes, children are introduced to the techniques and materials used in Gallo-Roman mural painting. They prepare their lime plaster and pigments, and learn the “a secco” technique to make a composition typical of the period. From a functional point of view, the fibula is a simple pin used to hold two pieces of fabric together, such as a cloth, cape or toga. The first fibulae are believed to date from the late Bronze Age and went out of common use in the Middle Ages. 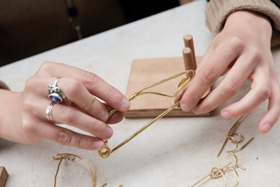 During this workshop, adults and children are initiated to making these pins. An introduction to the work of the archaeozoologist, with a reconstruction of an animal skeleton with the remains found during archaeological excavations, to understand the relationship between humans and animals. Of course, these are but a few examples, and you surely have a wealth of ideas and activities to suggest, to make these Archaeology Days a festive event, open to all and family-friendly.